Update, clean, declutter, depersonalize. These are tips you constantly hear when you’re trying to sell your house. But as you try to update the house enough to look presentable, clean and modern, you are also trying to not spend too much of your hard-earned cash. So how do you sell with an unfinished basement? It’s easy. An unfinished basement is not always a bad thing. Instead, it’s sometimes a perk. Not everyone wants a finished basement; people need space for storage. All you need to do is highlight the benefits of an unfinished basement with your potential homebuyers. •	An unfinished basement can be your messy, hidden escape from the clean, perfectly tidy upstairs. It’s the place that no guest needs to see, and the place that you can do whatever you wish with. •	Is the attic hard to get to? Are the closets too small? Don’t know what to do with all of the boxes that you brought with from the old house? Store your winter clothes in the basement during the summer, and vise versa. Keep your holiday decorations stored away in boxes in the basement. Keep boxes from the move in the basement until you decide what to do with them. •	Don’t have a laundry room? Want to use the laundry room as a mudroom or a pet room? The unfinished basement is the perfect cool atmosphere to store the washer and dryer, and it offers way more space to hang clothes to dry naturally, to iron, and to hand-wash clothes in a tub. •	Live in a rainy, constantly wet area? 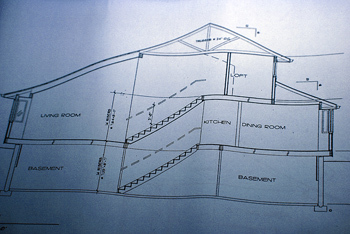 An unfinished basement can save you from flood damage. If your basement floods, all you have to do is mop up the water. You don’t need to worry about carpet damage, furniture damage, wallpaper damage, window treatment damage, and every other kind of damage that goes along with a finished room. •	It’s one less area to furnish, and one less area to clean. Enough said. •	If you want a finished basement, beginning with an unfinished basement allows you unlimited potential and ideas to work with! Paint the walls any color, add as much insulation as you feel is necessary, add walls wherever you wish to add rooms, install a bathroom if you’d like, add the flooring of your choice, build a wet bar if you wish: turn the space into the basement of your dreams and increase your equity! Does that mean that you should leave your unfinished basement as is when you’re showing your home? Not necessarily. 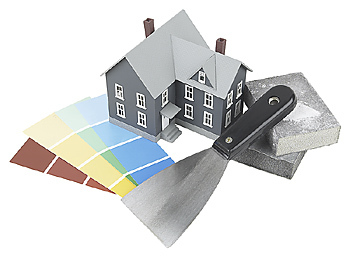 There are still improvements that you could make for your potential homebuyers, even if you choose not to finish it now. •	Cleaning up your cluttered boxes of storage. Close and stack your boxes into a neat pile that lines the walls. 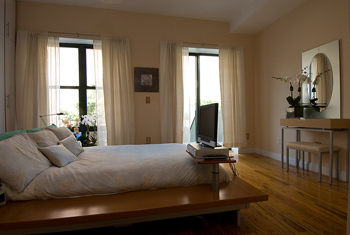 Keep the space in the middle of the room open so potential homebuyers can visually see how large the space is. •	Adding an accessory here and there, such as a weight bench, an ironing board or a pullout couch. This will allow potential homebuyers to imagine the space as more than what it is, such as a fitness room, a laundry room or rec room. •	Cleaning the floors and walls with soap and water. Destroy cobwebs and diminish dirt. If you have a lot of bugs, use a pesticide before cleaning. Just because the space is unfinished doesn’t mean that it shouldn’t be clean. •	Using caulk to fill holes in the walls or ceiling. It is an inexpensive way to make the basement look better and to contain better insulation. •	If you have clotheslines set up in the laundry area, take down clothes while showing the house. You want potential homebuyers concentrating on your basement’s potential, not your hanging undergarments! Maximize the impact of your Buy Owner advertising by putting a little legwork into your sale to get the word out! Remember, goal #1 in selling your home: get your phone to ring! Keep flyers with you at all times, ready to hand out. Post on the bulletin board at work, if possible. Your town/city may have a similar bulletin board option at the town center. Fax your flyer to the human resources departments of area businesses for relocation purposes. Be on the lookout for people who are house-hunting. You never know who will lead to your buyer! Create free online ads at places like Craigslist and Google that link to your Buy Owner page. You’ll be drawing even more people to look at your home’s photos, tours and text! Mark your open house online, through your Buy Owner seller tools*. Make the most of other open houses in the area. Check local ads, and when an open house is scheduled in nearby, put out a sign and draw those visitors to your home. *Call Buy Owner’s customer service department if you need help navigating through your seller tools. **Be careful to abide by all local ordinances regarding private property and only post the flyer after obtaining permission.